Countries have been issued ultimatums. WASHINGTON — The world's major economies have issued a warning that countries could be punished if they resist new global anti-tax-evasion rules amid the wide-ranging fallout over the so-called Panama Papers. The massive leak of offshore bank details that has already destroyed a few political careers also destroyed scheduling plans Friday at the spring financial meetings, pushing a G20 meeting well over time. 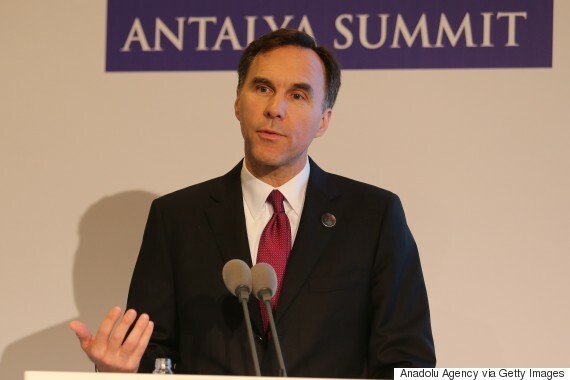 "Yes, it was a main point of discussion,'' Finance Minister Bill Morneau said afterward. The final communique warned of actions against countries that don't agree within a year to adopt bank-reporting standards being promoted by international agencies. It didn't go as far as some countries wanted — it did not explicitly mention economic sanctions, nor did it single out Panama. Panama had agreed to the standards, but set six conditions others deemed impossible to meet. The issue rocketed up the agenda of the annual meetings as a result of a data leak involving multibillion-dollar offshore accounts in Panama. 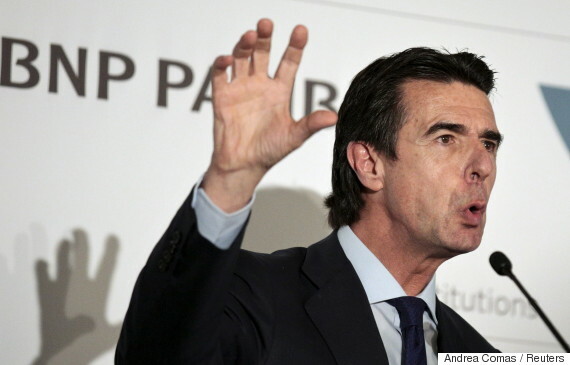 The revelations have triggered scandals in different countries — with the resignation Friday of Spain's industry minister, following the resignation of Iceland's prime minister. A Canadian tax-transparency group estimates that foreign tax havens cost the federal and provincial treasuries about $8 billion per year, or about two per cent of annual revenues. Canada, it says, must clean up its own house. One section of the G20 communique applies to more countries, including Canada. It says countries must do a better job of tracking down the true owners of companies, specifically those who might be hiding behind strawmen. Dennis Howlett says Canada is currently in non-compliance with that provision. The executive director of Canadians for Tax Fairness says oversight is especially weak in some provinces. "Canada has a lot of work to do to comply with the international standards on transparency of beneficial ownership,'' he said. A recent report by the group Transparency International said Canada runs afoul of multiple internationally-agreed standards set by the G20. It says Canadian law doesn't properly define beneficial ownership — the true identity of people drawing profit from a company. It also says authorities aren't required to track their identity, nor can they easily access their identity. Morneau says he plans to take that issue back home and raise it with provincial counterparts. 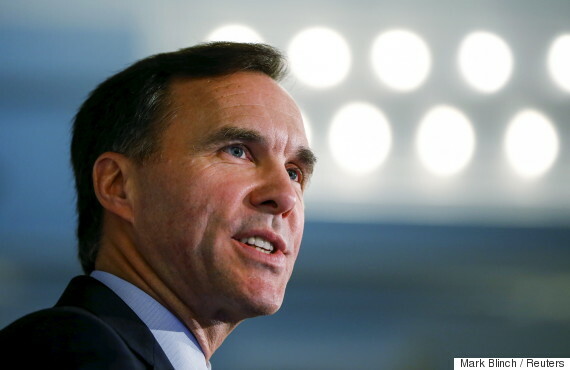 "We won't rest until we make sure that we're not only in compliance — but that we're doing a very good job understanding who owns what assets in our country, understanding what taxes people owe,'' Morneau said. The minister received some kudos at the meeting for the recent federal budget. The head of the International Monetary Fund specifically saluted Canada's infrastructure spending in a speech. A Wall Street Journal piece called Morneau the poster child for IMF policies, promoting deficit spending on infrastructure as a way to stimulate short- and long-term growth. This apparent adulation prompted some eye-rolling back home. 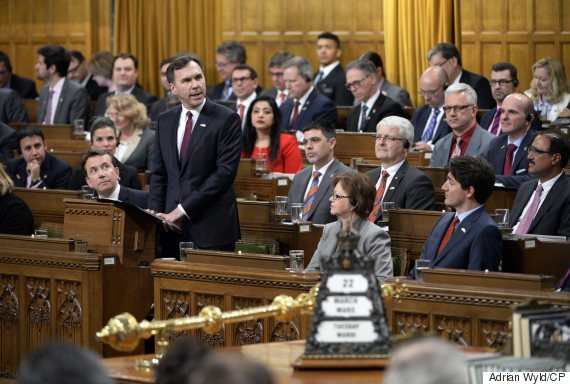 The opposition Conservatives said infrastructure spending accounts for a mere fraction of the deficit figures the Liberals project for the foreseeable future, without an end in sight. Even those supposed infrastructure dollars, they note, include green measures and social spending. "The Liberals' infrastructure plan will not create the kind of economic growth and increased productivity that Canada needs,'' said opposition critic Dianne Watts.